I want to begin my neighborhood and community spotlight by focusing on one of Stockton's most established and desirable areas, Lincoln Village. Lincoln Village as a whole is made up of many different neighborhoods, developed east and west of Interstate 5 and along Benjamin Holt drive. For this neighborhood spotlight, I want to focus on Lincoln Village One. 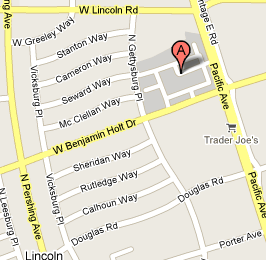 Lincoln Village one is located South of Lincoln rd from Pershing rd to Pacific ave. Built in the early to mid 1950's this area has become a gem of North Stockton due to multiple close amenities, great schools, shopping and cute homes on tree lined streets. Lincoln Village one is walkable. Less than a quarter mile from most homes in this neighborhood is the outdoor shopping destination of Lincoln Center. Lincoln Center is home to many variety of shopping choices, from clothing, shoes, grocery, eyewear, fine wine, jewelry, fitness and much more. Most stores are locally owned and bring that small town touch that is great when looking for personalized service. The food and restaurant choices are plentiful as well. Lincoln Center is home to many variety of restaurants from tasty american food found at Payters Grill or Dad's Dog's to fine dining such as Papapavlous, a personal favorite, Market Tavern and Midgley's Public House. Also quite enjoyable are Lincoln Cellar, a wine themed restaurant, Squeeze Burgers, Bud's Seafood, and both Domo and Sho Mi Japanese cuisines restaurants. One cannot blog about food in Lincoln Center without mentioning one of the finest deli's in all of Stockton and that is found at Podesto's. They have the finest selection of meats and cheese's that when crafted together make the best sandwiches. This deli is often packeted durning the lunch hours and weekends, so you have been forewarned. Homes found in Lincoln Village are in Lincoln Unified School District. In my opinion, this is the most desirable school district in Stockton. (Not to take anything away from some of the other great schools throughout Stockton). Homes in this neighborhood are steps to Lincoln Elementary school, a half mile from Lincoln High school and middle schools. As mentioned earlier, these homes were built by Sims-Grupe development in the early to mid 1950's. The majority of the homes in Lincoln Village are single story homes and range from 1000 - 2100 sq feet. The larger homes may have had additions done to them over the years. Many have very similar floor plans when you enter them and it is not uncommon for these homes to have detached garages found in the back. These homes were generally built with 2 or 3 bedrooms and 1 to 2 bathrooms. While many are similar in plans, you don't get the boxy, track style feel in this community. Each home owner has made slight changes over the years which create a unique feel to each home. The trees have grown tall over the years and provide a great shade filled street. Homes in the area are apart of the Lincoln Village One home owners association(HOA). This association is there to make sure the quality look and feel to the neighborhood remains in tact. The HOA is not as strict as others around Stockton and they don't need to be as most homeowners care for their homes. The HOA dues are paid annually and are around $300. Owners and occupants of the homes have access to the community pool which is open from Memorial day to Labor day. The pool has a local summer swim team called the Lincoln Lightings which has won a number of city wide championships over the years. Lincoln Village One, is a unique area of Stockton that will continue to be a desirable place to live due to its walkable amenities, schools and great quality homes. For more information of living there, contact David McKeever with McKeever Real Estate.